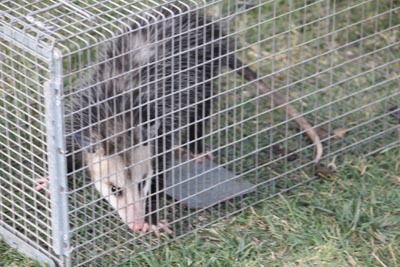 Opossum control is very important as opossums are common wildlife in San Diego, Orange County, and Temecula. They may hiss and show their teeth when scared, but they will quickly pretend to “play dead” when their bluff is called. Opossum carry diseases such as leptospirosis, tuberculosis. They may also be infested with fleas, ticks, mites, and lice. Opossum are hosts for cat and dog fleas, especially in urban environments. 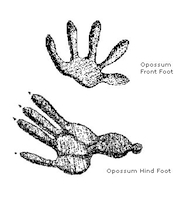 Opossums are the only marsupial (moms have a built-in baby pouch) in North America. Regularly living under decks and sheds, opossum will also hide in homes attics and basements or crawl spaces looking for a safe place to sleep. 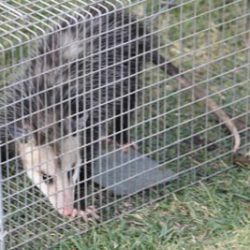 If opossum have made their home under a shed, in your basement or crawlspace, or under a deck we can help remove the opossum from the property and keep the opossum or future wildlife away by performing repairs and exclusion to the areas. 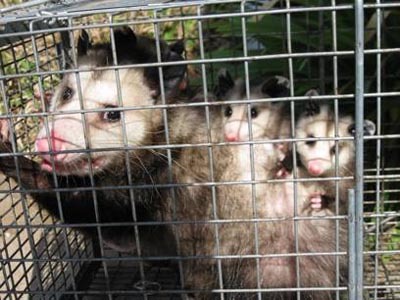 Catching opossum is not a difficult thing to do, but all opossum control should be left to a professional due to the diseases that most of the animals carry. 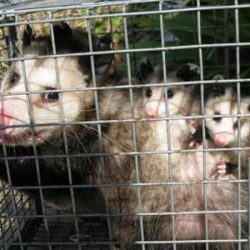 If you are looking for opossum control in Temecula, San Diego, or Orange County, give us a call at Wildlife Removal Services.